I received my PhD in business logistics and management science from Pennsylvania State University in 1996 and my MSc in management science from Pennsylvania State University in 1988. 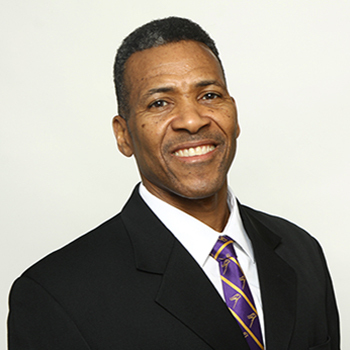 Prior to joining Laurier, I was a senior lecturer in the Department of Management Studies at the University of the West Indies in Jamaica. The main focus of my work is freight transportation and logistics in both contexts such as vehicle dispatch/routing and international trade gateways for maritime and land-based transportation. My most recent work in this area comprises 3 main themes: (i) issues affecting logistical efficiency at interfaces between international gateways and domestic transportation via trucks and trains, (ii) supply chain costs resulting from inefficient utilization of transportation capacity and (iii) the benefits of accurate and timely information for managerial decisions by both providers of transportation and logistics services (e.g., railways and trucking companies) and users of those services. Awarded a 3-year research grant of $71,280 from the Social Sciences and Humanities Research Council (2017). Awarded a 2-year research grant of $26,000 from the Natural Sciences and Engineering Research Council (2015). Awarded a 6-month research grant of $60,000 from the Ontario Centres of Excellence (2014). Awarded a 6-month research grant of $60,000 from the Canada Federal Development Economic Agency (2013). Appointed as Fulbright Visiting Research Chair at Arizona State University’s Center for Transborder Studies (2008). Awarded a 3-year research grant of $94,111 from the Social Sciences and Humanities Research Council (2008). Awarded a 5-year research grant of $76,750 from Natural Sciences and Engineering Research Council (2003). I have research assistantships opportunities in Winter 2015 for graduate students interested in maritime transportation. Additional opportunities for both graduate and undergraduate students may also be available in the summer and beyond. Contact me for more information. I am willing to supervise graduate students in the areas of freight transportation and logistics (covering the four main transportation modes: road, rail, maritime, and air). Mondays and Thursdays, 11 a.m. to 1 p.m.; Fridays, 10 a.m. to noon.